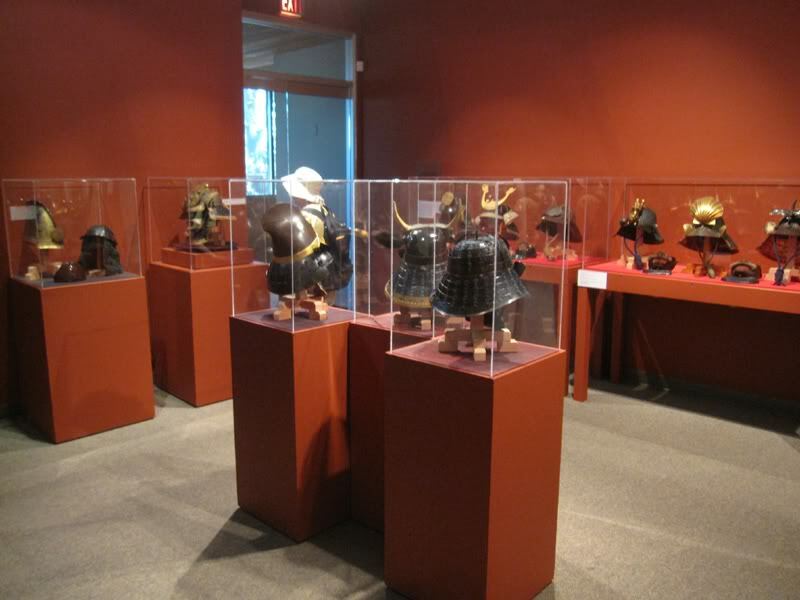 Beginning this summer, the Art Gallery of Greater Victoria’s impressive collection of samurai art will be presented for the first time since the hugely popular 2003 exhibition, Samurai, The Warrior Class of Japan. 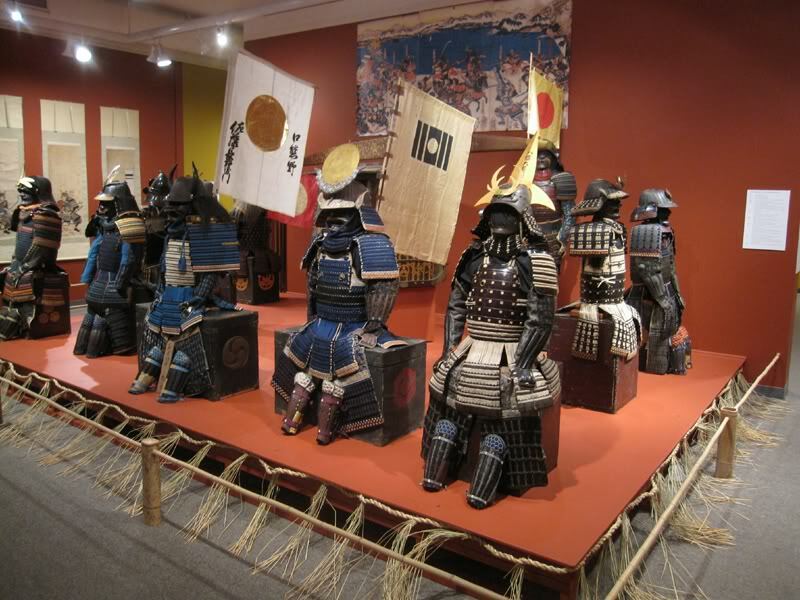 Four, stunning, newly acquired samurai suits of armour will be showcased as well several more suits of armour and helmets on loan from collector, Trevor Absolon. Return of the Samurai will explore the military prowess and culture aesthetic of samurai through their art, including paintings, prints, swords and armour. The exhibition opens on August 6 and runs through November 14. The exhibition explores the exciting world of the samurai of old Japan, who were amongst the world’s greatest and most courageous warriors as well as being amongst the most cultured. The samurai followed a strict code of behaviour, which came to be known as Bushido or the way of the warrior. 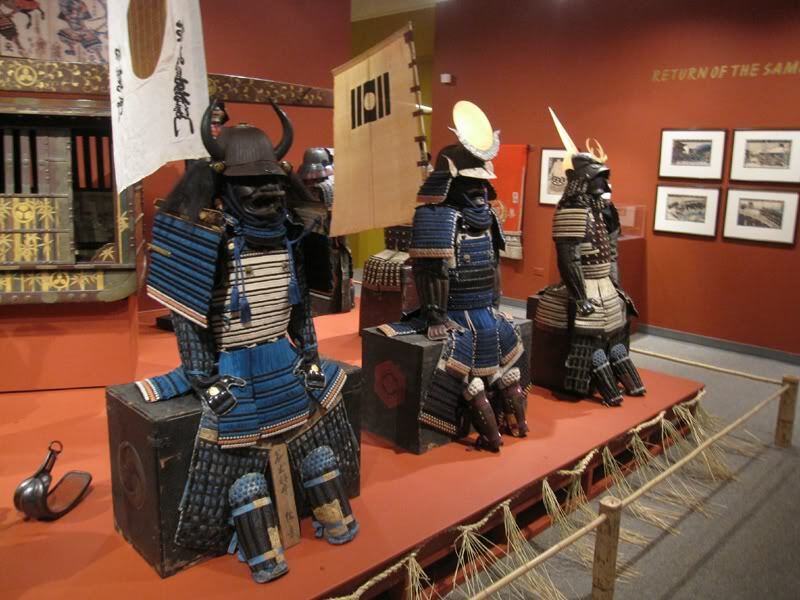 Return of the Samurai features the largest collection of samurai armour ever displayed in Canada. These exquisite samurai suits of armour are made of hundreds of lacquered steel or leather scales and silk braids flexibly laced together. This lightweight armour was carefully designed for its defensive role to withstand a powerful blow and to allow the warrior to be nimble on his feet. The bright distinctive silk braids and the rich brocade robes worn under the armour made the samurai an impressive looking warrior. The exhibition will also include numerous new prints illustrating the life and times of samurai including prints of the famous story of the 47 Ronin, one of Japan’s greatest samurai tragedies. Other items include scroll paintings of samurai and paintings by samurai, as well as samurai toys used in the Boy’s Day Festival. For more information, visit http://www.aggv.bc.ca/ or call 250-384-4171. Too bad I'm not in Vancouver any more; I would have liked seeing that. If you're there, take some photos of it and post them here! I was hoping that a member here would be in the area and could take some pictures, Trevor Absolen of Toraba.com is one of the worlds leading authorities on samurai armor and his input on this exhibit means that there will certainly be some rare and samurai interesting items on display. A good article and some pictures. I gotta ask: Why is there a stirrup or two laying around on the floor in the first couple of pictures? I hit Google with "Samurai"+"Stirrup" and that's definitely what it is/they are. For the same reason they have yari, naginatas, an archer's glove, a pair of shoes, and some prints I guess: because its samurai equipment or art depicting bushi. In other words, the exhibit is not all armour. The things you saw are indeed stirrups. There are 12 armours, almost as many separate helmets (Including a collapsible one), some weapons and misc equipment, and some prints and paintings. Its quite a good exhibit (just one room but a big room). Next time I go I'll ask if photos are allowed. I just think it looks odd. From what I can tell of the pictures they're just laying in the middle of nowhere, not directly related to anything around them, without a sign, etc. It's not a big deal and I guess it's just a little thing that is distracting me from the actual exhibit, which is quite impressive. I'm just a little touched in my noggin and focusing on a random object. Thanks for bringing it to our attention and posting pictures Eric. Sean, if you can take some photos what would be great, I got the photos I posted from one of the people involved in the exhibit, Trevor Absolon of Toraba.com. I plan on going to the exhibit before it closes but I would like to see any pictures if you go again and take some. Did you notice the battle flags...these are quite rare to see in good condition. I am surprised to that the exhibit has anything just laying around without some kind of sign, I plan on going so I will check that out, but on the other hand I wish the exhibit was traveling to were I am. I may go again and I think photography is allowed (a very honourable attitude for a private gallery). If I do, is there anything you would like me to focus on? I am ignorant about Japanese armour so I don't know what would be especially interesting. The armour is mostly Tokugawa period, but they date one helmet to the late 15th century and one katana to the early 15th. The armour seems to be displayed on the original armour boxes. I wonder if part of the display was assembled by people who don't know armour ... the skirts were not laced tight up to the waist, and the gorgets didn't overlap the breastplates. They have a miniature armour and horse trappings from a family shrine, a wooden practice naginata, what looks like an early Kendo mask, and of course the palanquin you can see in the photos. Sean, Trevor Absolon of toraba.com was involved with staging the armors etc so I would imaging that they were appropriately set up, I know that the "skirts" or thigh armor (haidate) can be quite fragile and they have to be hung in a manner so the the corners of the armor boxes do not tear the fabric. By "gorget" you mean the throat protectors (yodare-kake) on the face masks (menpo) I assume. 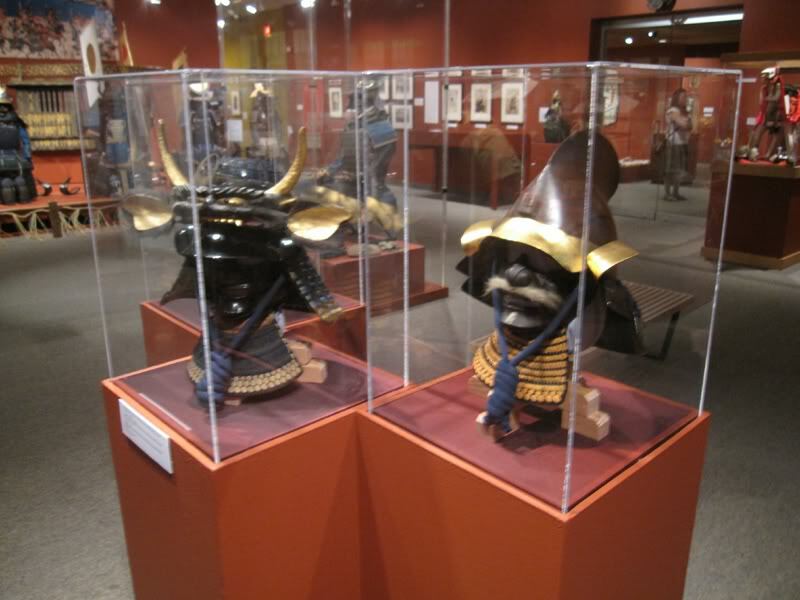 I am not sure about that but possibly if they and the helmet (kabuto) were lower some aspects of the armor would have been covered up and would not have been able to be seen by visitors. If they allow photos to be taken that is an exception and any photos of anything you see of interest if you go back would be great, thanks! By "gorget" you mean the throat protectors (yodare-kake) on the face masks (menpo) I assume. "yodare-kake" generally points at a "bib(for babies)" in Japanese. Of course "yodare-kake" is right as a technical term. There are many names of "throat protector" as follows. 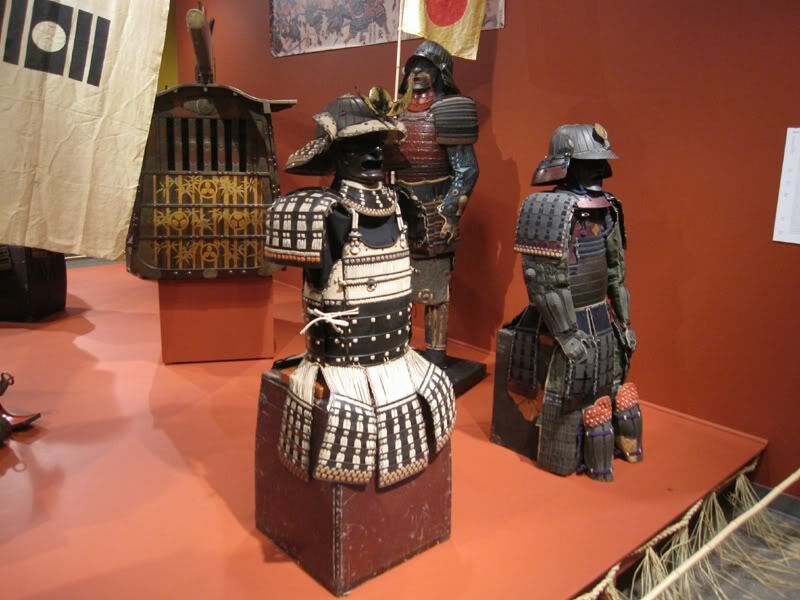 "yodare-kake or yodare-gane" are technical terms as names of the parts of Japanese armour. General persons are easy to understand "nodo-yoroi or kubi-yoroi" or "suga or sage" or "eri-mawashi". Protecting the laces from the armour boxes would make sense for why the thigh flaps were hanging low. I hadn't thought of that. By "gorget" I meant the protectors for the front of the throat which hang down from the face masks. Since I'm writing in English for a general audience, and don't claim any expertise on Japanese armour, I didn't bother digging out Robinson's Oriental Armour and trying to reproduce the Japanese names for armour parts. Ushio, thanks for the terms, unfortunately many armor parts and weapons etc suffer from several versions of names for the same thing when translated to English, very confusing. unfortunately many armor parts and weapons etc suffer from several versions of names for the same thing when translated to English, very confusing. "kubi-oke" as meaning? here it is used as "head bucket"
You are right. "kubi-oke" is "head bucket" in English. As you say "kubi-oke(head bucket)" is a bucket to store the head of the enemy. But perhaps you know that "head" is "atama" in Japanese. You thought "why is it "kubi(neck)" not "atama(head)?"" In the Japanese, it is said to "kubi wo toru" to "cut off the head of the enemy". However, there can be the thing that it is said to "kubi wo toru" to defeat an enemy, without cut off the head. If so why do so many people from Japan have no interest in Japanese armor and or weapons? The people who are interested in Japanese armours or weapons use Japanese sites(forum) in Japan. And the people(like me) who are interested in European Medieval armours or weapons use an overseas sites(forum). The people of this forum are very kind. Thank you for all of you. An interesting thing to say, considering if you took a random look around the internet you might wonder why white Americans seem to have little interest in European arms and armour and focus on the 133t samurai and NINJA! Given that mentality, I see little reason to question Ushio on his (her?) interest in the European stuff.